Piano playing has many healing and therapeutic benefits. In some ways it's similar to ultra-sound therapy which sends sound vibrations into your body, relaxing muscles and increasing circulation. It gets your energy flowing and gives results similar to meditation, acupuncture and yoga. Piano playing relaxes you physically and mentally, alleviates stress and oxygenates your body. It stimulates the release of dopamine and beta endorphins in the brain resulting in a sense of well being. There are all sorts of psychological benefits to be gained by expressing your feelings in this safe and healthy manner. Playing the piano improves mental clarity and tests show it even improves math scores in children. We are referring to acoustic pianos more so then electronic pianos, as the natural, organic sounds that emanate from an acoustic piano are preferable and different then the electronic frequencies that come from a digital piano. There is also some discussion that the metal parts of an acoustic piano may create a kind of magnetic therapy. Also many people report that an acoustic piano seems to improve the feng shui in homes and studios. 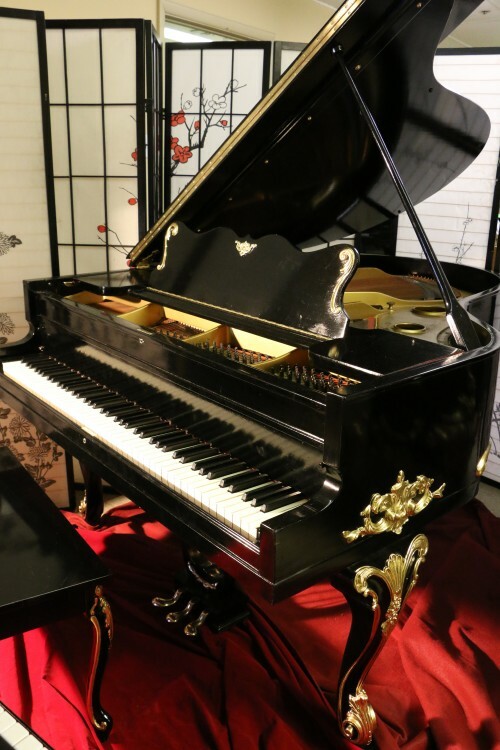 The healing and therapeutic benefits of having a piano in your home are are endless and today pianos are very affordable in both the used and new markets. Everyone can play the piano! If you can navigate a computer keyboard, then playing the piano is easy in comparison since it has easy 8 note/key patterns that keep repeating themselves. The growing popularity of the chord method of playing piano has also made playing the piano something everyone can do. Give it a try....... you'll be amazed at how good you will feel!